Just something minor which has been bugging me about HWMonitor on Skylake systems, so I wonder if those of you with a similar system see something similar? Note the considerably higher reported uncore and total package power. 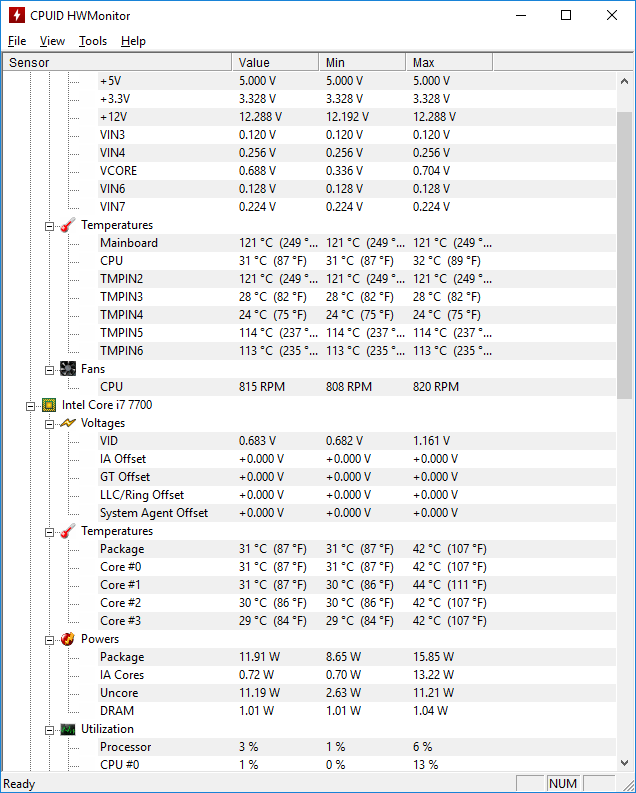 I mention the discrete GPU as I wonder if the PCIe link might have something to do with it, however it's also possible it's just an erroneous reading - that uncore value seems to randomly drop especially when the CPU is under load (as you can see in the min column), and power at the wall/CPU package temperature don't indicate 10W going astray. 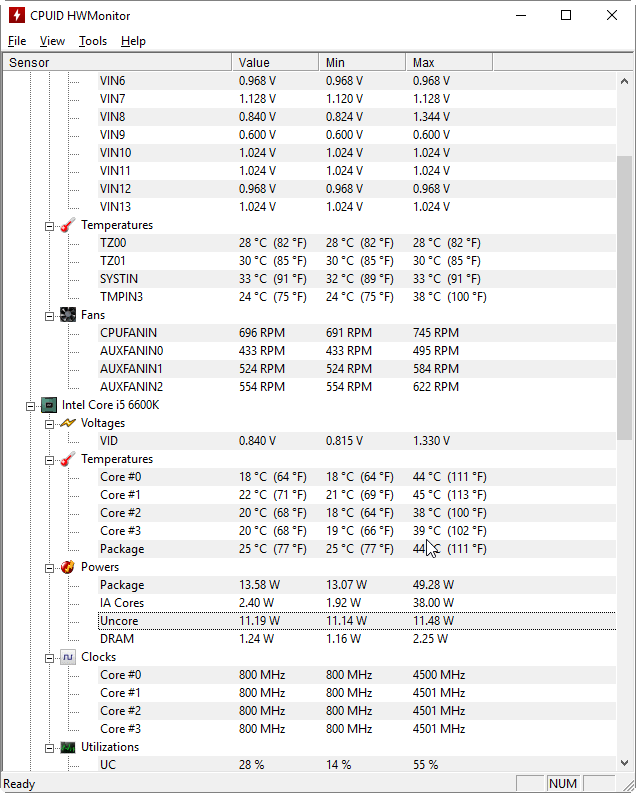 Does the i7 system have any sort of auto-overclock motherboard feature turned on? They can really hit power consumption. 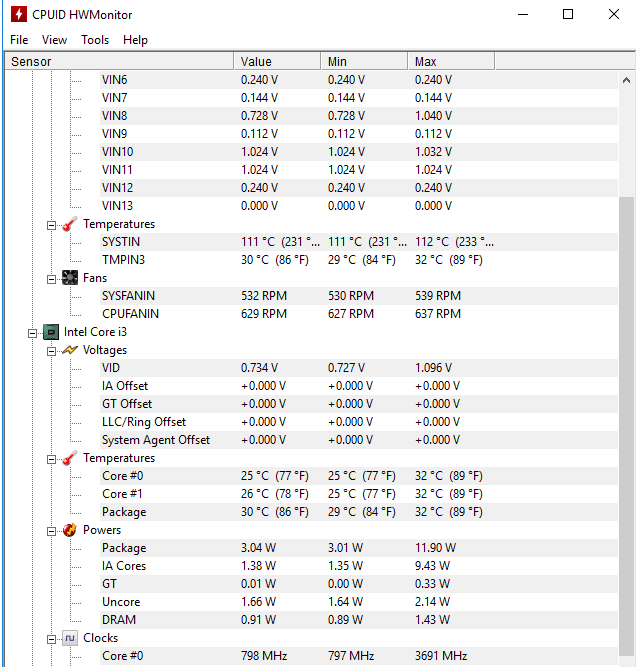 Looking at the readings from my Kaby Lake G4560 on a Gigabyte B250N Phoenix shows uncore fluctuating between two and three watts, with peaks to five. That's with a discrete graphics card. Nope, both completely stock and with the same memory speed. I suspect it's just an erroneous reading, but I'll try to get around to taking the GPU out of that system to see what happens to the figures. It's probably fairly inconsequential, just one of those things I'd like to know.